Photographic images transcend language. Through visual art, a photographer pauses moments in time so that they become eternal. 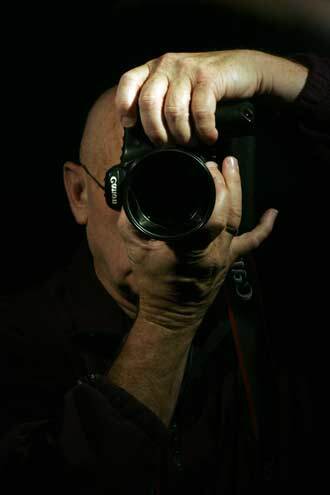 An independent artist, Robin Pendergrast strives to deliver evocative images to realize his artistic vision: to provide intriguing and creative depictions of the subjects he photographs. Robin's photojournalistic style is driven by a conscientious appreciation for the natural beauties of this earth - from the people and creatures that inhabit it to the man-made structures and natural wonders that occupy its surface. The photographic art you'll view within these galleries showcases Robin's ability to elicit uninhibited beauty from a wide range of subjects and spaces. Peruse our image galleries to discover the versatility of Robin's craft, which encompasses commercial, aerial, architectural, portrait, theatrical, wedding, human interest and travel photography. Robin F. Pendergrast, at age nine, picked up a brownie camera while on the set of a Northern Illinois Gas Company (now Nicor) shoot, where his father served as director of publicity. That moment piqued young Robin's interest and a life-long love affair with picture-making ensued. Now, with more than 35 years of experience as a professional photographer, Robin has carved a niche among the Midwest's artists. Robin strives to deliver evocative images to realize his artistic vision: to provide intriguing and creative depictions of the subjects he photographs. He is driven by a conscientious appreciation for the natural beauties of this earth - the people and creatures that inhabit it to the man-made structures and natural wonders that occupy its surface. Robin's photographic art showcases uninhibited beauty from a wide range of subjects and spaces, encompassing commercial, aerial, architectural, portrait, theatrical, wedding, human interest and travel photography. Robin F. Pendergrast ... a published photographer who encompasses a wide variety of disciplines. Robin's photographs have been published in myriad publications around the world, including Chicago Tribune, Chicago Sun Times, The New York Times, Associated Press, Time, Better Homes & Gardens, McHenry County Living, Woodstock: The Four Seasons, Northwest Hearld, Flower & Garden, Garden Gate, and Gardening How-To. His images have been featured in A Journey to Nine Islands: Chicago Botanic Garden, as well as in textbooks, on cable TV, and in hundreds of trade and consumer magazines.